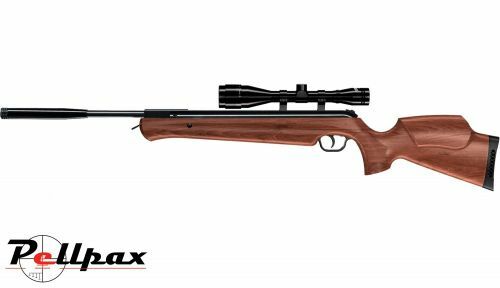 The Master Pro air rifle from Walther is the pinnacle of their highly regarded LGV range that is one of the most versatile spring rifles that is available today. The beech stock is perfect for outdoor hunters as it is both strong and light and also wonderfully finished with checkering along its surface. This is not only for looks however and provides a sure grip, even in wet conditions. The Walther features an internal Vibration Reduction spring and piston system that significantly reduces recoil leading to more comfort, but also better accuracy. This accuracy is further improved by the rifles high power which ensures the pellet stays true through out its flight. The LGV comes equipped with a barrel weight that is fitted with a ½ inch UNF thread to allow for a silencer.